With the phenomenal growth of the internet over the last decades has come an equally revolutionary growth in the number of jobs available for writers, illustrators, and videographers within the digital media industry. There’s really never been a better time for creative artists with solid digital media skills to find employment, since the public’s appetite for new information presented in unique and original ways is voracious. The types of jobs you can apply for with digital media skills are numerous, and the list just keeps on growing. Digital media job titles include: social media manager, web content manager, multimedia specialist, digital media specialist, content test specialist, game designer, media planner, blogger, digital engagement specialist, brand coordinator, content coordinator, content writer, graphic designer, digital content editor, social media communications strategist, digital photographer, public relations specialist, broadcast news analyst, technical writer, and marketing coordinator. When you create a resume and accompanying cover letter for a job application for a digital media position, you’ll need to incorporate as many industry-specific “keywords” as possible into your text. Many employers scan job applications digitally, using automated applicant tracking systems that are programmed to give priority to particular keywords. Using bountiful keywords to describe your digital media skills works the same way as adding tags to a WordPress article or blog – these terms are easily spotted by parsing systems and ensure that your resume earns a high “placement” among its competitors. Here's a list of digital media skills for resumes, cover letters, job applications, and interviews. Required skills will vary based on the job for which you're applying, so also review our list of skills listed by job and type of skill. Communication Skills: In any digital media role, you’ll need to call upon strong oral and written communications talents to convey information and build relationships with target audiences and clients. Content Management Skills: Content Management (running a website or blog) requires a very versatile skillset – not only must you be able to write and edit digital content, but you’ll also need solid analytical and planning skills, some knowledge of marketing and web metrics, and the ability to spot and capitalize upon emerging trends. Marketing Skills: The world-wide Web has completely changed the landscape of business-to-consumer and business-to-business marketing. Gone is the age where companies could rely solely upon print, broadcast, direct mail, and telemarketing strategies to advertise their products and services. Instead, digital marketing specialists must be adept in search engine marketing (SEM), search engine optimization (SEO), Social Media Marketing (SMM), and email marketing. Technical Computer Skills: Here are a few of the most common software programs and technical skills that employers list in their job advertisements for digital media specialists. 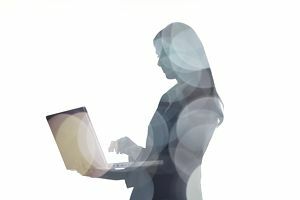 “Soft” Skills: Whether you work in a business or a home office as a digital media specialist, you’ll need to demonstrate the following abilities in order to ensure that digital content development cycles remain on track. Website and Graphic Design Skills: Basic (or, better yet, advanced) website development and graphic design skills are sought-after competencies in digital media job candidates. Web Analytics Skills: These are the skills required to help guarantee that the digital content you produce remains competitive and captures top rankings on search engines.